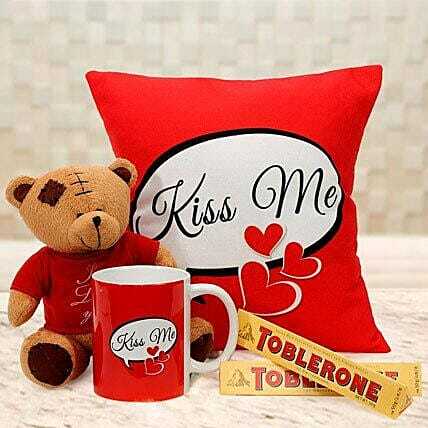 There is nothing more enjoyable than to treat your love with sweet valentine gifts. Rejuvinate your love with a kiss to treasure. Fill their heart with love and joy with this adorable and wonderful gift hamper. Since flowers are perishable in nature, we will be able to attempt delivery of your order only once The delivery cannot be redirected to any other address. They should be allowed to air dry outside.